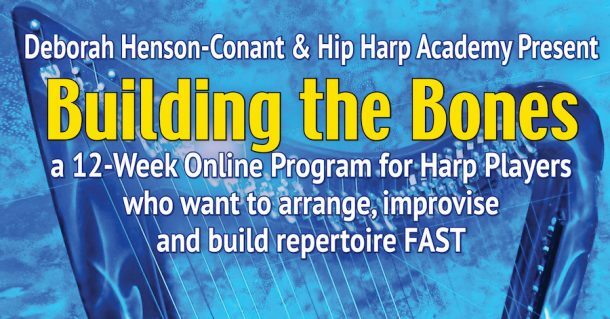 Get on the"First to Know" List for "Blues Harp-Style 2018"
Be the first to get discount and registration information when this course opens for enrollment. I WANT TO BE FIRST TO KNOW! YAY! You're on the First-to-Know List for Blues HarpStyle! Signing up for this notification also gets you a subscription to my weekly-ish newsletter. You can unsubscribe at any time, but many people say they enjoy the stories, music and adventures I write about in the newsletter. You'll be first to know about specials, discounts and deadlines! Yay! You'll be First to Know! You'll be the first to know about "Building the Bones" - and because we hate spam, we won't share your contact info with anyone! This opt-in also gives you a subscription to my weekly-ish ezine. You can unsubscribe any time but most people say they love the stories & videos - so I hope you do, too!